Watch full Rockman.EXE Beast + Episode 10 English Subbed online for free in HD. 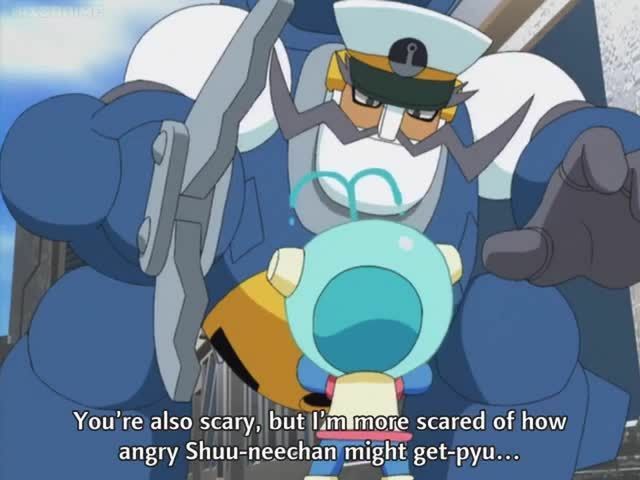 Full HD Rockman.EXE Beast + Episode 10 English sub streaming online. Cross Fusion De A~Ru!. Blackbeard and Yuika appear in the cyber world, CrossFused, and cause mischief while searching for Lan and MegaMan. However, if not stopped, their bodies would break down. Dusk enlists the help of Lan to stop them and reverse the effects of the SynchroChips.